The first time I got really “into” board games was in 2003. I received Risk: The Lord of the Rings Trilogy Edition on Christmas Eve, and I made my Dad play it with me that night on my Pap Pap’s dining room table. Over the next several years, I warred with my family while the One Ring marched its way across the board to Mount Doom and the game’s end. We kept track of our battles with little pieces of notebook paper that calculated points for the winners (18 of these survive to this day). These sometimes also collected little notes from the game, such as, “I wish to destroy Don because of his betrayal,” and “I only fought three battles in this war and won through intimidation.” This game was fun for many reasons, but the biggest one, for me, was the narrative. Yes, Risk games may not have a traditional narrative in the vein of some games today (which I’ll get to later), but in our Risk: Lord of the Rings games we built our narratives throughout our ongoing conquests. Initially, the game served a different narrative purpose for me. It was a vehicle that allowed me to replay the epic battles of Middle-earth. After that, I created new conflicts across Tolkien’s maps by putting different spins on the existing tales. What if good’s last stand against evil took place in the Shire instead of Minas Tirith? What if Sauron’s forces overran the southern defenses? These were just some of the questions I tried to answer via Risk. My fascination with board games has always been in their ability to create and tell stories. I was first introduced to the new wave of board games around 2013. I’d just graduated from college, and I found myself back in my hometown. Me and two of my friends went in on buying a game called Mansions of Madness. It sounded interesting because I’d read and enjoyed Lovecraft intermittently since high school, and the game put you in a Lovecraftian world. One person played the role of a keeper (storyteller/master of monsters) while the other players were investigators (who tried to survive long enough to figure out what was going on in the narrative). After playing through many of the scenarios that came in the box, I even created one of my own. Unfortunately, the game had an insanely long set up time, and I moved out of town for work in 2014. Fast forward to 2016. I’m enrolled in my first semester at Seton Hill University, and I discover the Game Table Café in Mechanicsburg, PA. Through the Game Table, my fiancée and I meet up with two amazing friends for the first time due to our shared love of Game of Thrones: The Board Game. This game, much like Risk: Lord of the Rings Trilogy Edition, lets you recreate the war for the Iron Throne portrayed in the Song of Ice and Fire novels. Not long after that, I discovered Mansions of Madness Second Edition. In this updated version of the original game, the keeper is replaced by an app which allows everyone to play through a story together. This was a huge leap forward for me, and I went gonzo for this game. I’ve bought every expansion to date, and I’ve spent hours upon hours playing it. Fantasy Flight, the publisher of Mansions, is a company that knows how to take advantage of narratives for its board games. It produces games based on Star Wars and The Lord of the Rings, as well as various others, but I’m most drawn to the Arkham Horror Files (of which Mansions of Madness is part) because I love horror, specifically Lovecraft’s brand of cosmic horror. While other board games use the Lovecraft theme to great effect, the Arkham Horror Files are special because Fantasy Flight has built its own connected universe using their characters and the Cthulhu Mythos. If you play any of their Arkham Horror File games, there is a crossover between the gameplay, characters, settings, and monsters. It creates an immersive narrative experience, and many of their games directly feature narrative as a gameplay component. Progression in the board (or card) game leads to revelations in the tale you and your fellow players are participating in. It’s a great formula. 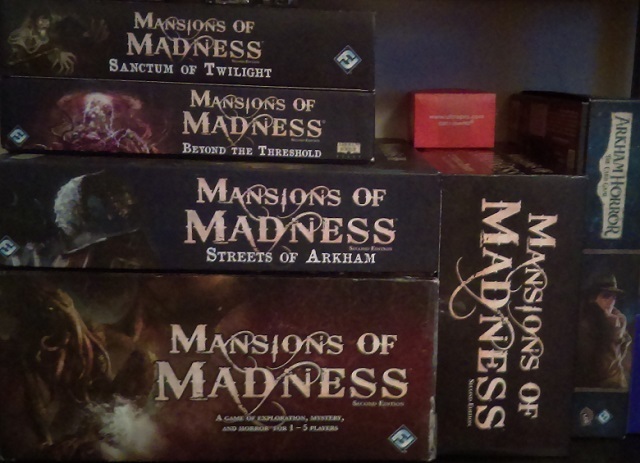 As a writer, I am actively inspired by board games such as Mansions of Madness. I use the feelings and narrative surprises to fuel my own twisted tales. However, it’s not just horror writers who can gain some inspiration by playing a good board game. 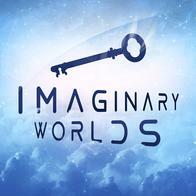 There are games that allow you to immerse yourself in practically any kind of world. Writers can colonize Mars, run breweries, build their careers as stage magicians. Take advantage of this fun way to jumpstart your imagination as an author. Just don’t start neglecting the writing for the board gaming. My second semester is a dead dragon, laying slain in my rearview window. That’s not to say the battle wasn’t fierce. In fact, I wasn’t sure I’d be continuing in the program. My writing has improved, but it’s been a slow process. I still have a long way to go, even if my thesis novel is at 159 pages. That said I celebrated a milestone this semester. I received my first rejection letter. While this might not seem like such a good thing, it is. There was a time where I had no idea how to go about submitting work for publication. The Writing in Popular Fiction Program at Seton Hill has given me an endless number of places to send my work. It’s also eliminated my fear of rejection. Well, it’s at least lessened it considerably. Right after I got my first rejection, I sent out my story for publication with another online magazine. Aside from writing, I also got to read more terrific books this semester. My favorite was N.K. 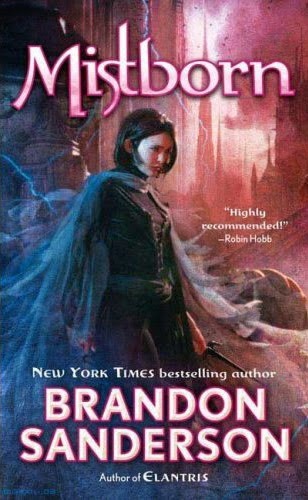 Jemisin’s The Fifth Season. 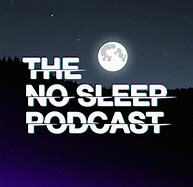 It’s just a delightful read, and I highly recommend checking it out. Along with that, I got to check out The Three Body Problem, Every Anxious Wave, The Goblin Emperor, The Martian, and The Eterna Files. They were all enjoyable Science Fiction and Fantasy reads. Yet, it was horror that consumed my mind this semester. Back in High School, I discovered H.P. Lovecraft’s At the Mountains of Madness. It was an enthralling and creepy read. After that, I devoured any of his stories I found. Then time passed, as it usually does, and it wasn’t until college that Lovecraft came back into my consciousness. This was because my friends and I discovered the board game Mansions of Madness. Once again, I descended into his entertaining mythos. This past semester I heard his call again, but this time it was a bit more literal. While at work I found many of his best stories on Spotify, and I was able to listen to them when my workload was light. I also received the board game Pandemic: Reign of Cthulhu for Christmas from my amazing fiancée. 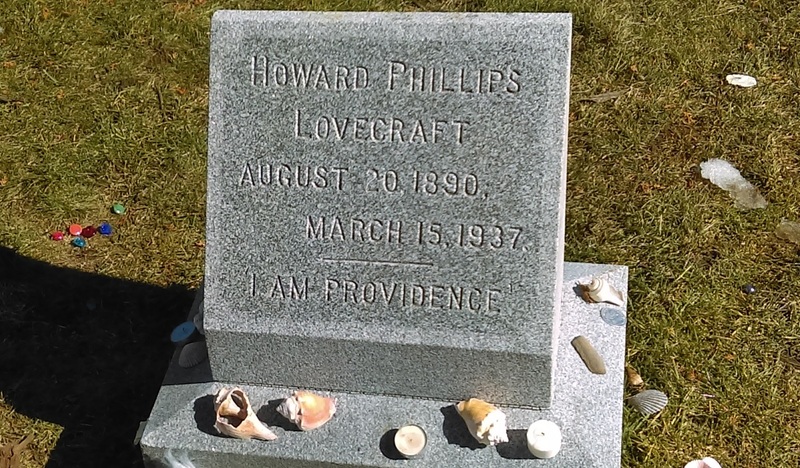 The cherry on top of my most recent Lovecraft obsession was getting to visit him in person. No, I’m not mad. I took a trip to Providence Rhode Island to see a friend, and while I was there, I stopped by his grave. We also checked out the Lovecraft Arts and Sciences store, as well as some local Lovecraft spots. It was a great trip. Anyway, the Lovecraft fever is still going strong as I just bought Mansions of Madness 2nd Edition. My second semester in this program wasn’t a cake walk, but I felt more confident than during my first. Just knowing how the program operated was a major help because I could better budget my time. Something that is not always easy with a full-time job, a fiancée, friends, and a black cat. Now I am eagerly awaiting my third residency with a healthy dose of cautious optimism.